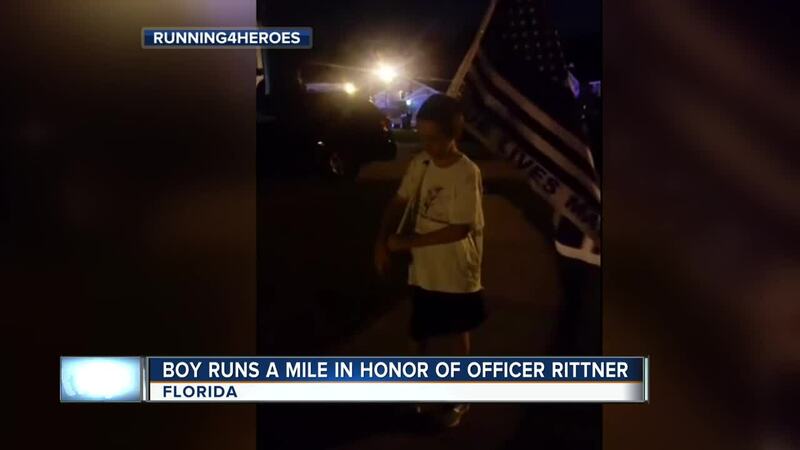 A 10-year-old Florida boy is dedicating a special run for fallen Milwaukee Police Officer Matthew Rittner. 10-year-old Zechariah runs to honor the lives of first responders and military members killed in the line of duty. On Monday he dedicated a mile-long run to Rittner, who was killed while serving a search warrant last week. “This is the third in eight months the Milwaukee Police Department has lost so prayers go out to them,” he said.